Need some last minute Headbanger gift ideas? 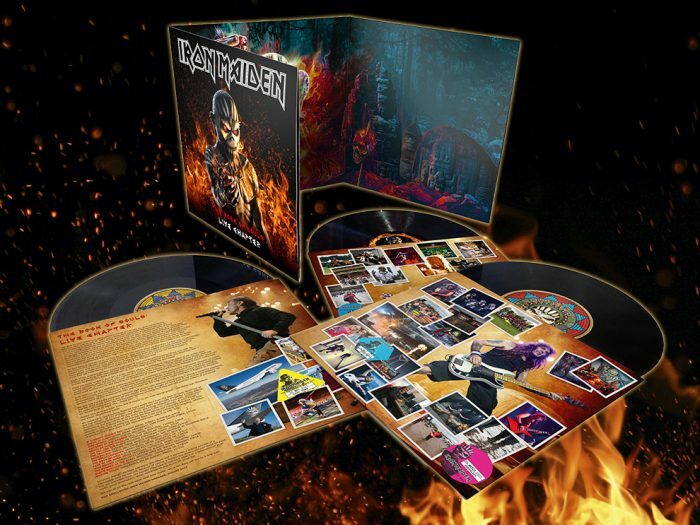 Check out our top pics for every Metal Head, Rock ‘n Roller or 80’s Fan on your Xmas list! 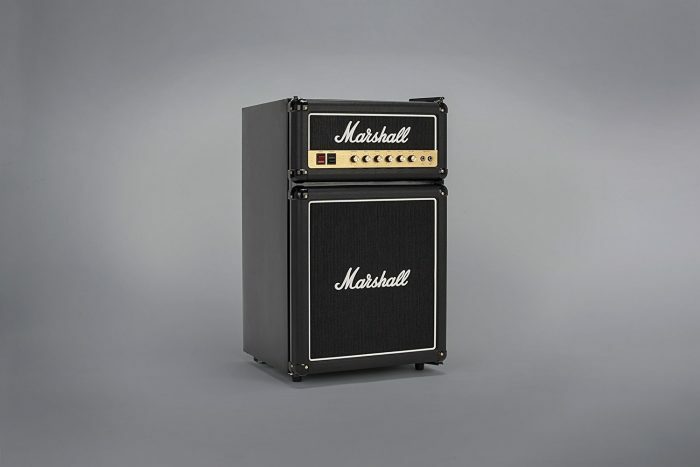 These cool, portable Marshall mini amps still pack a punch, and no guitarist should be without one! The MS-2R looks great, sounds great and perfect for practice on the go… Available in Red, Black or Black w/ Grill Cloth. 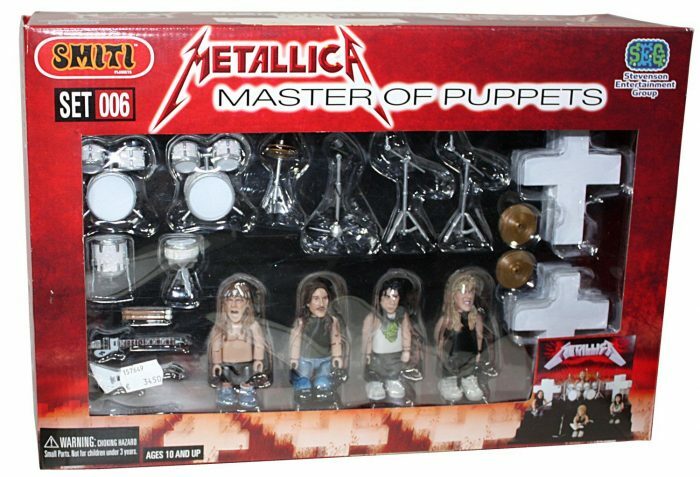 This collectible Metallica playset is one of very few Metallica action figure sets that have ever been produced. 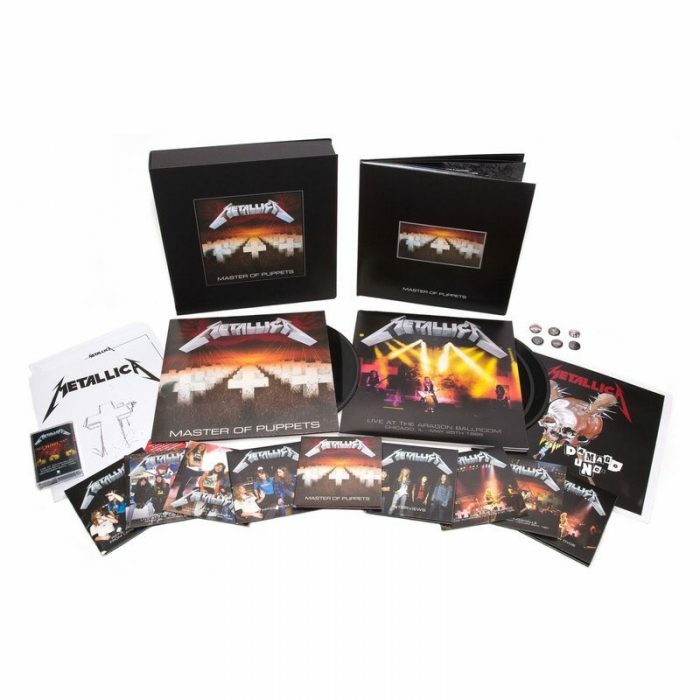 Includes over 25 pieces including four Metallica figures of James Hetfield, Lars Ulrich, Kirk Hammett, and Cliff Burton plus there are a ton of accessories — a stage, backdrop, 4 crosses, 2 guitars, bass, 4 cymballs with stands, high-hat cymbal, 4 piece drum set, 2 drumsticks, and a microphone. How cool is that? 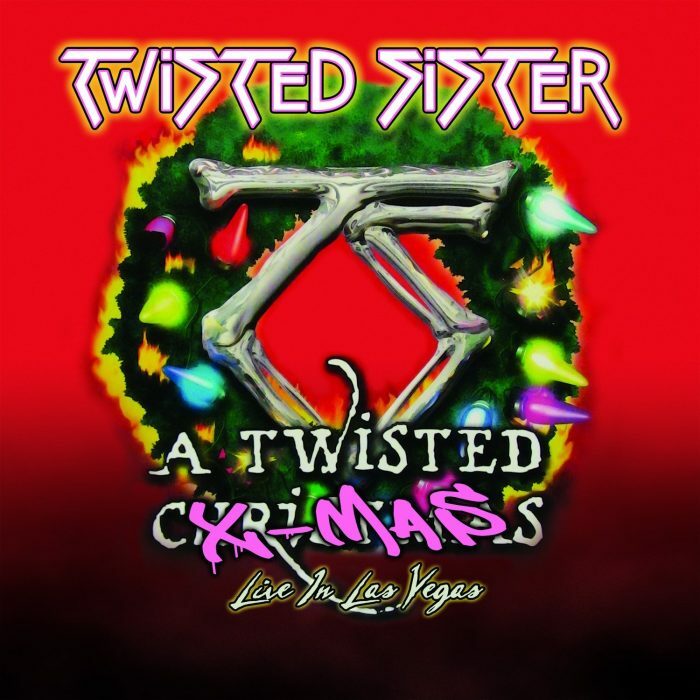 Combining Christmas favorites with classic songs from the band’s catalogue, this 2006 Vegas performance is a uniquely Twisted Sister version of the holiday season! With Dee Snider as a very different kind of Santa Claus, the band are rocking as hard as ever on this Heavy Metal Holiday Classic! Bruce Dickinson’s Autobiography, What Does This Button Do? 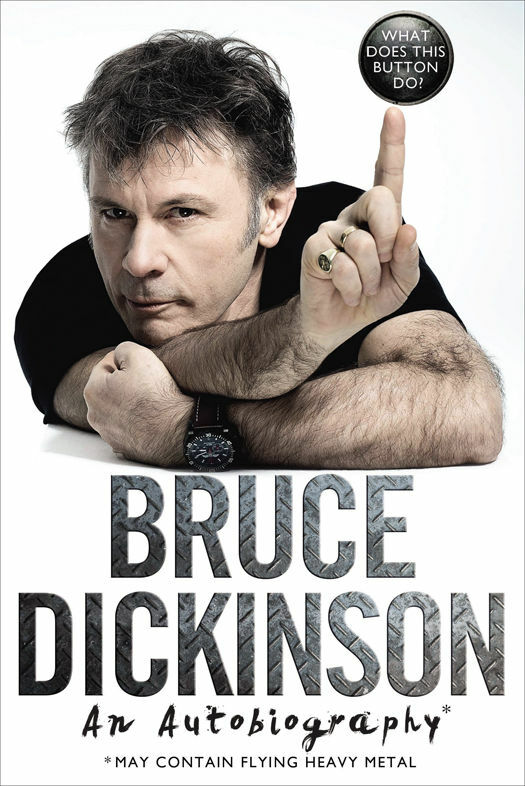 A long-awaited memoir from the larger-than-life, multifaceted lead vocalist Bruce Dickinson of Iron Maiden. OTT front man, singer and songwriter is just one of the many hats Bruce wears. In addition, he is an airline captain, aviation entrepreneur, motivational speaker, beer brewer, novelist, radio presenter, and film scriptwriter. He has also competed as a world-class level fencer. Bold, honest, intelligent and very funny, his memoir is an up-close look inside the life, heart, and mind of one of the most unique and interesting men in the world; a true icon of rock. Splurge on this awesome bar fridge for yourself or your best drinkin’ buddy! Made with classic Marshall parts, including the signature, Marshall logos, the front amp facing, and of course, knobs that go to 11! Sized to keep your bottles and cans cold in your man cave, studio or downstairs “bar”, it’s a must have. This live recording comprises 15 songs captured during ‘The Book Of Souls World Tour’, which covered 39 countries across six continents during 2016 and 2017, and was seen by over two million fans. ‘The Book Of Souls: Live Chapter’ is available physically in CD, deluxe CD & vinyl audio formats, with the concert film available as a digital download. 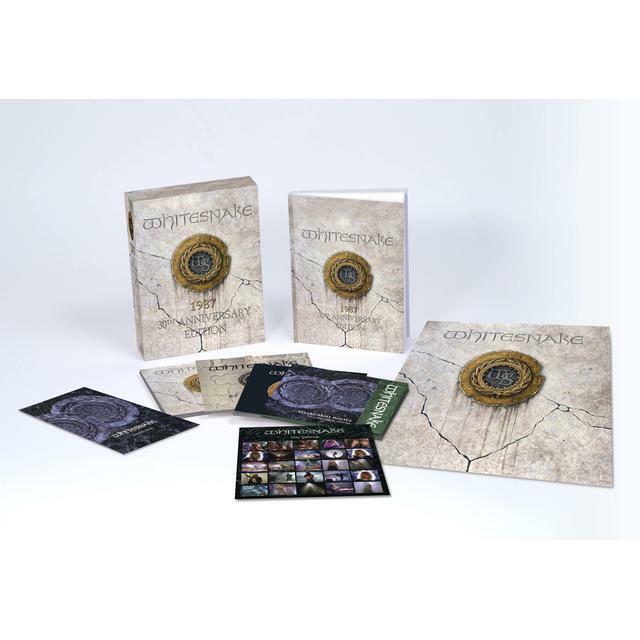 The 4-CD/DVD collection includes the original album with newly remastered sound, unreleased live and studio recordings, classic music videos, concert footage, a 30 minute documentary, featuring a new interview with David Coverdale, Whitesnake’s founder and lead singer. The music comes with a 60-page hardbound book that’s filled with rare and unseen photos from the era, an extended essay based on new interviews with Coverdale, plus a booklet of the album’s lyrics, handwritten by Coverdale. The End is a celebration of Black Sabbath’s final hometown concert at Birmingham’s Genting Arena on February 4th, 2017. With a hit packed set list including Iron Man, Paranoid, War Pigs, and many more, the high production values, visual effects, and pyrotechnics wowed fans, as the band delivered the most emotionally charged show in their history. 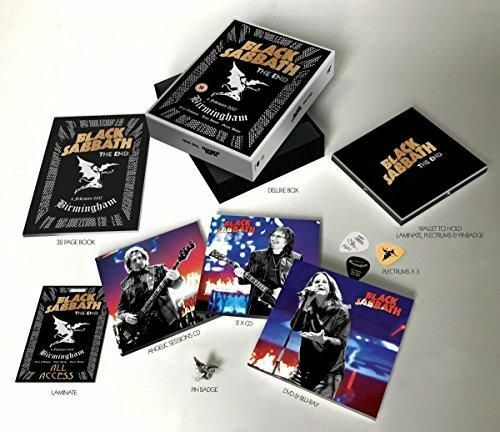 The limited deluxe collector’s edition contains: The End on DVD and Blu-ray; The End on double CD; The Angelic Sessions on CD (all housed in gatefold card sleeves); a 32-page perfect bound book on heavyweight stock; a metal Winged Demon pin badge; a replica The End tour laminate and 3 Plectrums (all housed in a DVD-height two piece rigid mirror board box). Featuring Ozzy Osbourne (vocals); Tony Iommi (guitar) and Geezer Butler (bass), with Tommy Clufetos (drums) and Adam Wakeman (keyboards / guitar).